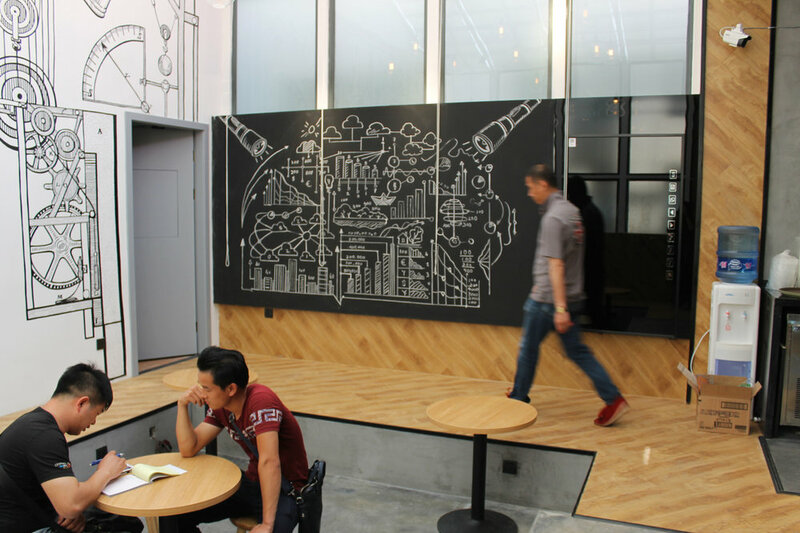 Time capsule is a café located on Huadong Law University Campus in Shanghai, China. 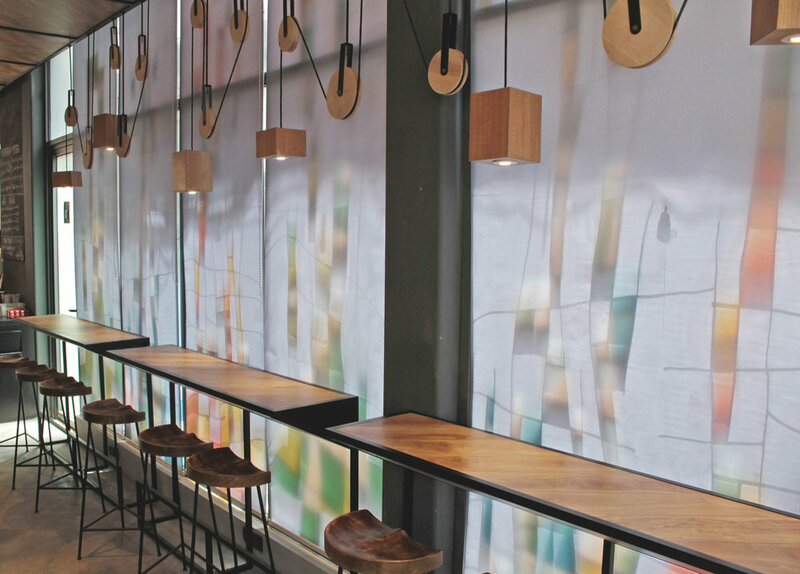 The client’s brief tasked the designers with integrating the history of coffee combined with the history of law. 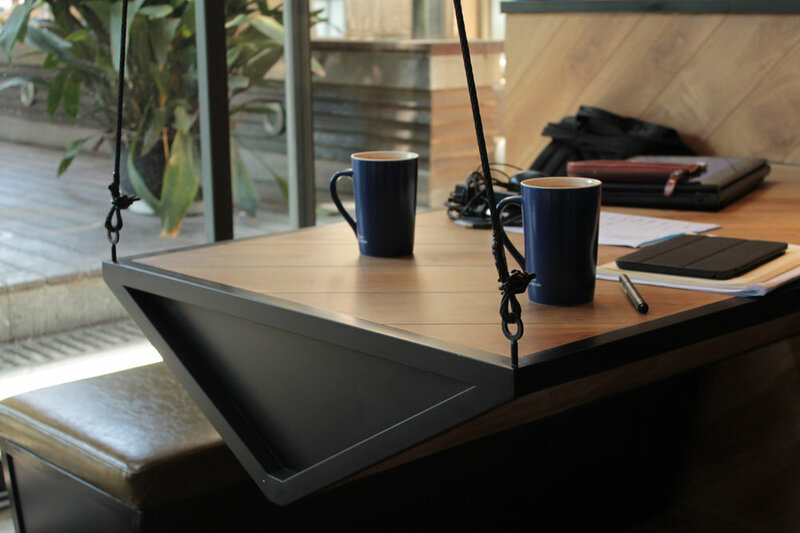 The designers developed a concept based on the pulley, an element used in law with balance and fairness of the law and the pulley as a weighing scale as coffee was traded and shipped around the world. Cantilevered tables are the distinct features of the seating zones where students can study and collaborate. The seating pit in the back is a multifunctional area suitable for seating, events or lectures. A local artist was commissioned for custom art on the feature wall that defines the connection between law and coffee.